Moving time: 6 hr 1 min. 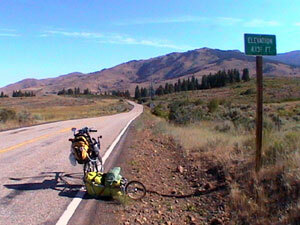 Weather: 40°F (4°C) in the morning; got up to 98°F (37°C) near Oxbow at noon; 80°F (27°C) by end of ride at 7:30pm. Clear with brilliant sunshine. Ah, it feels good to be in Oregon! I did two substantial climbs and descents today. The first was a long, gradual climb out of Cambridge then a fast, fun descent to the Brownlee Reservoir. Here's my rig at the top of the first pass. 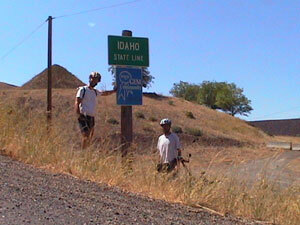 I met two eastbound riders today along the Snake River between Oxbow and the Brownlee Dam. They just started nine days ago and are still getting the hang of riding. They are a couple about my age or a little older. She broke her wrist and got pretty bumped up when she was hit by a car on a training ride this summer. They had to delay their start so that her wrist could heal but she is still wearing a brace. It dawned on me today that the farther west we go the less seasoned the eastbounders are. Anyone I see in the next week will be just starting (a late start, no less) and will probably need a little coaching and encouragement like I got when I met my first few eastbounders in Virginia and Kentucky. The eastbounders I meet seem more and more anxious to stop and talk and I'm happy to ablige. 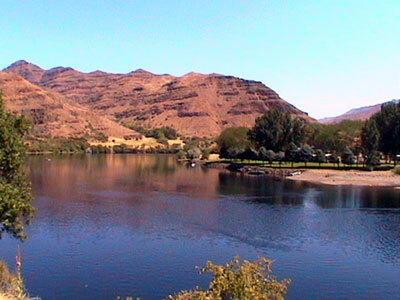 The Snake River runs through the bottom of Hell's Canyon. It is aptly named due to the extremely high temperatures common on the canyon floor in the summer. Today it was 98°F when I was in the canyon floor about 2:00pm. The man at the store in Pine Creek told me that today was one of the coolest days they have had in weeks. 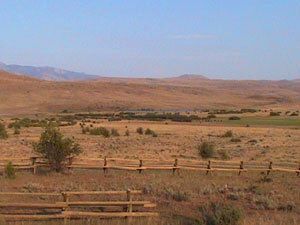 The temperature commonly reaches 110120°F on a summer day. Hell's Canyon is also the deepest canyon in North America. The valley floor is over 8000 vertical feet from the rim of the canyon in places. It is even deeper than the Grand Canyon! There was no Oregon welcome sign at the border but we did get a picture of the Idaho welcome sign since there wasn't one at the eastern border of the state. I'll have to wait to cross into Washington state to get the Oregon sign. 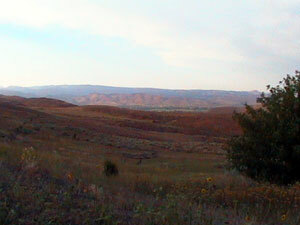 As Joe and I rode out of the canyon and up onto a plateau near Halfway the temperature dropped about 10°F. The second pass was much steeper and felt quite difficult since I did it late in the day. Joe and I took an afternoon siesta in Pine Creek where we played a few games of pool and hung out with some locals and some Harley riders on their way to the Sturgis rally. It was a great way to beat the heat but put us in town at about 7:30pm. The weather for the next week looks to be very, very nice. It should be dry and cool but sometimes cold at night. It will only take about another seven or eight days to reach the coast!